Fidel Castro, in an essay in Cuban state media, says he relinquished the Communist Party chief title when he became ill in 2006. 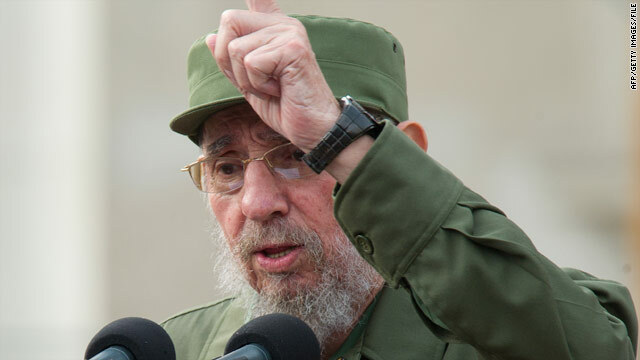 (CNN) -- Former Cuban President Fidel Castro said Tuesday he resigned as the head of the Communist Party five years ago and has never tried to resume the post -- one that he was thought to still hold. It was the first time that the 84-year-old leader of Cuba's revolution stated so directly that he no longer heads up the party he founded. "Without hesitation, I resigned all of my state and political positions, including that of the First Secretary of the Party, when I fell ill and I never tried to exercise them again after the proclamation of July 31, 2006," he wrote in an essay published in Cuban state media. He said he did not try to resume his positions "even when I partially recovered my health a year later, although everyone, affectionately, continued to refer to me by those titles." Cubans and foreign observers had believed that the head of the Communist Party was the one title that Castro still held after he was forced to cede power to his younger brother, Raul Castro, due to a health emergency caused by intestinal problems. Cuba plans to hold its first Communist Party Congress in almost 14 years next month. Raul Castro has stressed that the focus of the meeting will be sweeping economic changes to the Soviet-style economy. But there was intense speculation that the elder Castro would step down as the head of the party during the event, and his brother would move into the role. Castro also shot back at U.S. President Barack Obama, who criticized Cuba in a speech in Santiago, Chile, on Monday and demanded greater freedoms for the Cuban people. "When the president looked anxiously at the public after mentioning treacherous Cuba, waiting for an explosion of applause, he was met by a glacial silence," Castro wrote in the essay.